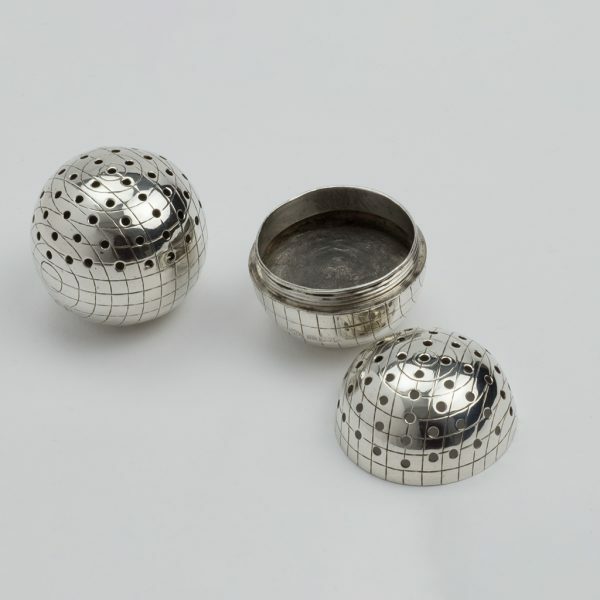 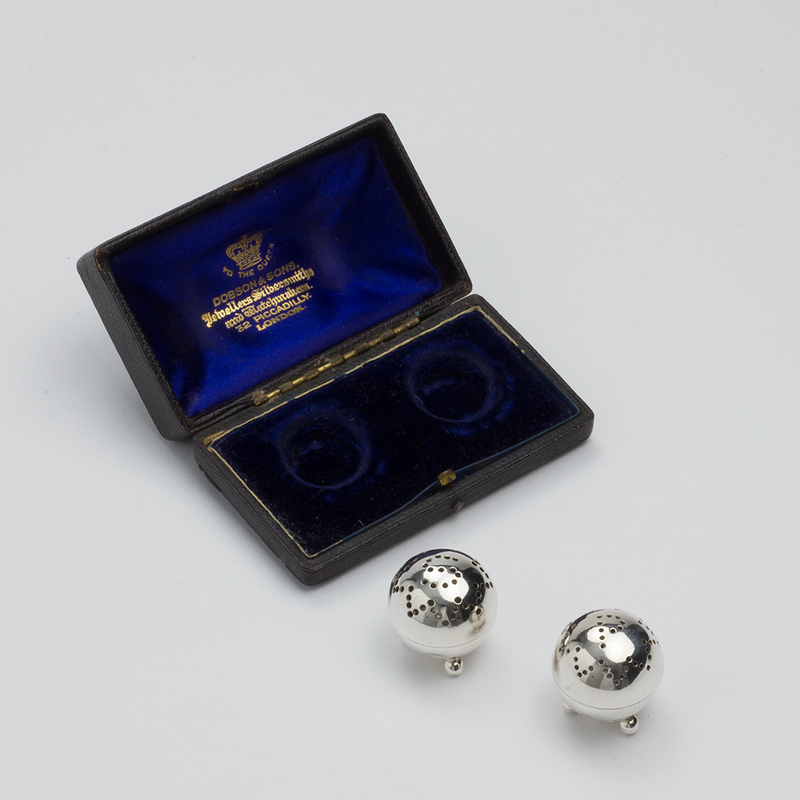 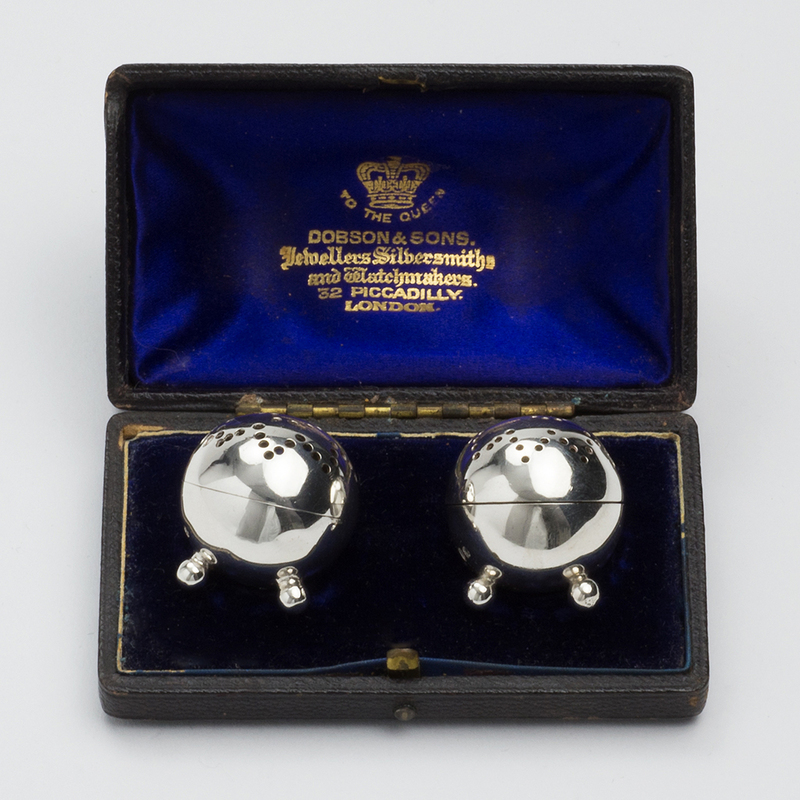 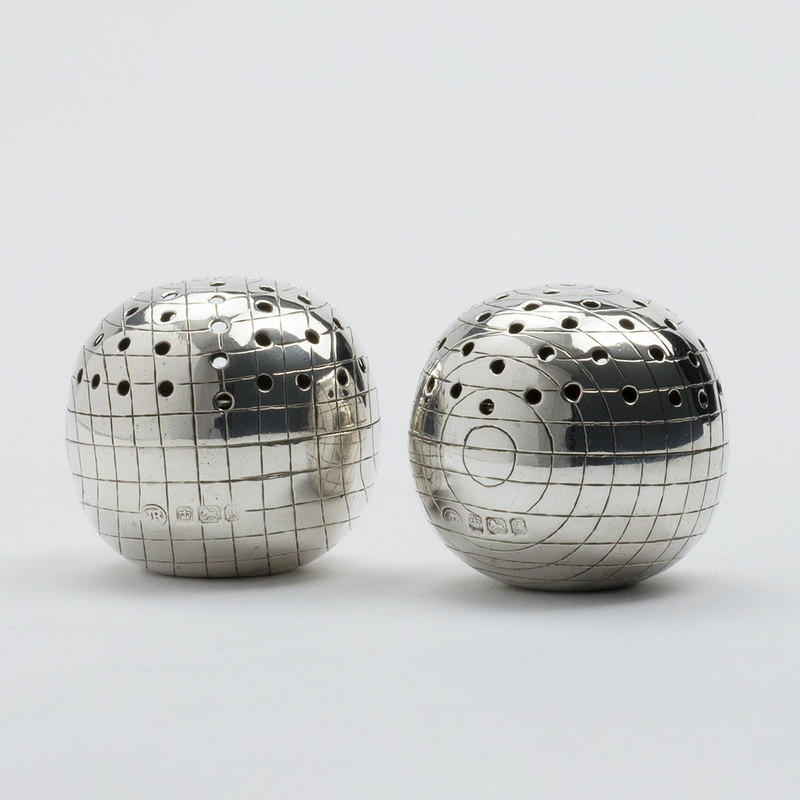 A pair of silver Pepper pots formed as croquet balls, Sheffield 1899, by John Round. 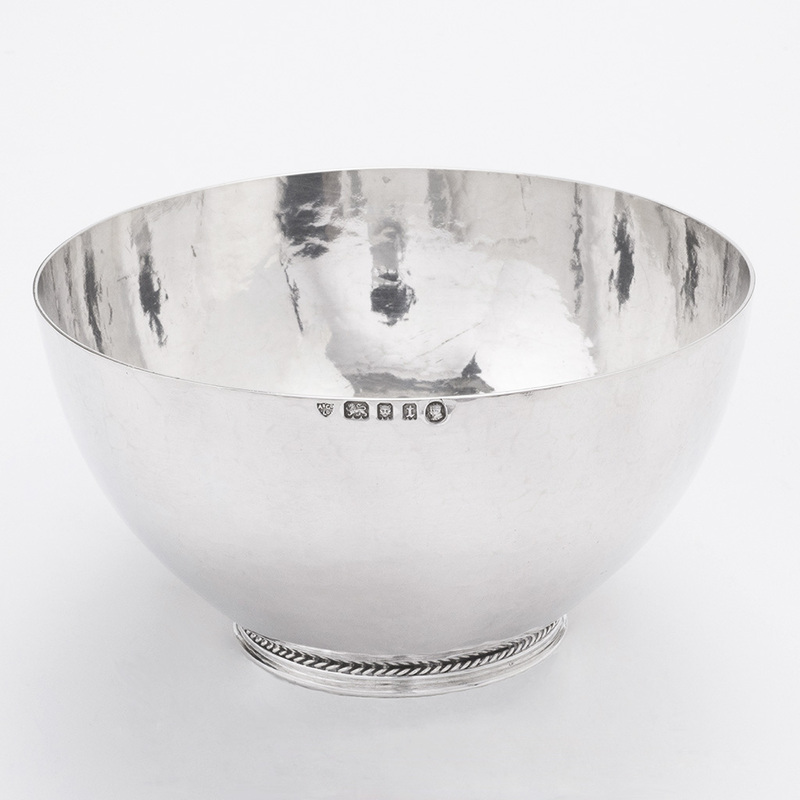 Good with some interior salt stains. 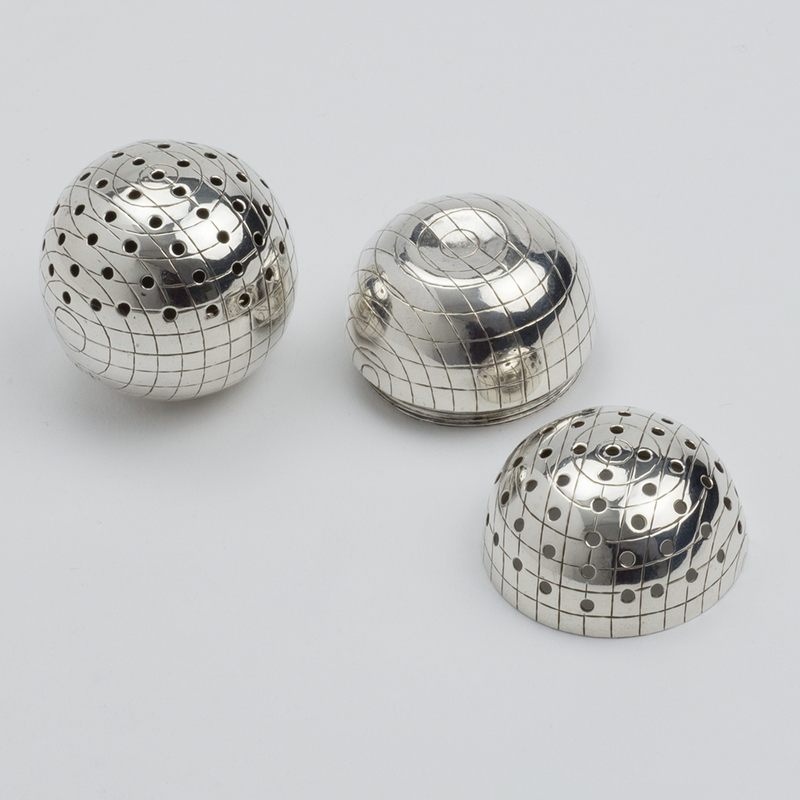 Diameter – 3.40 cm. 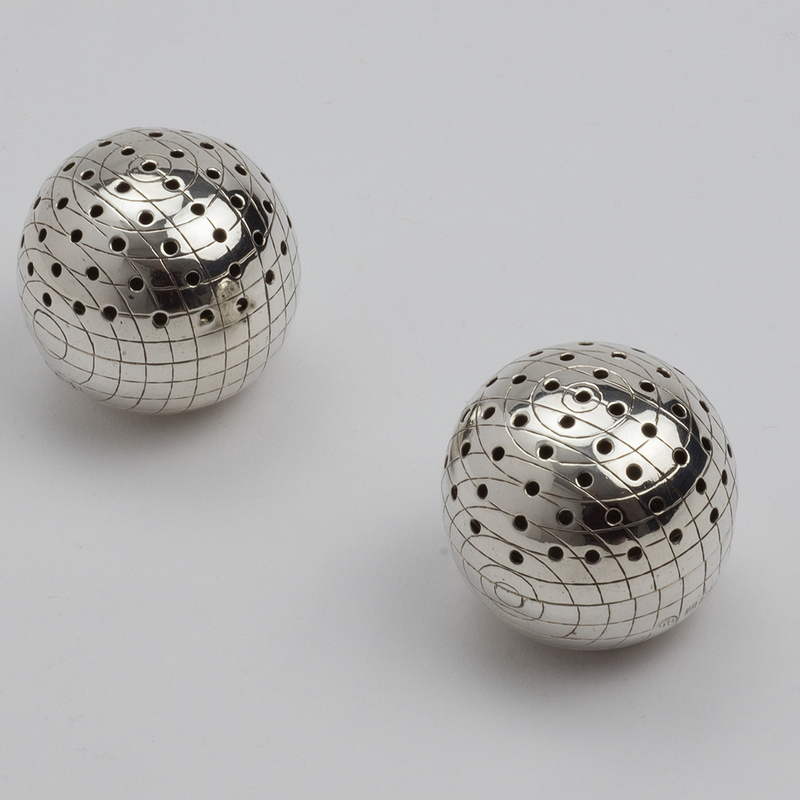 ; Weight of the two – 147.30 gms. 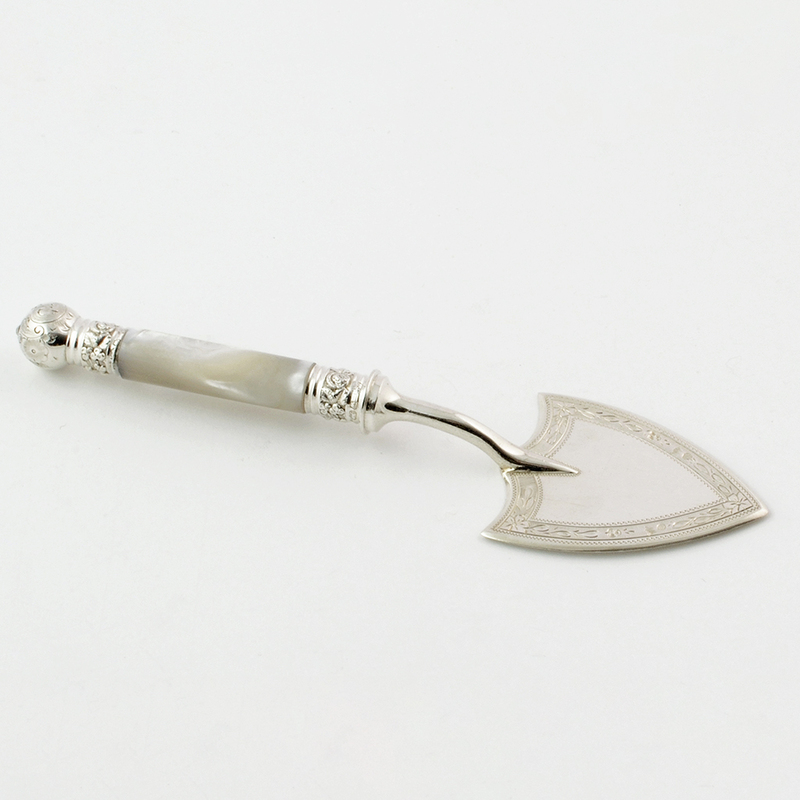 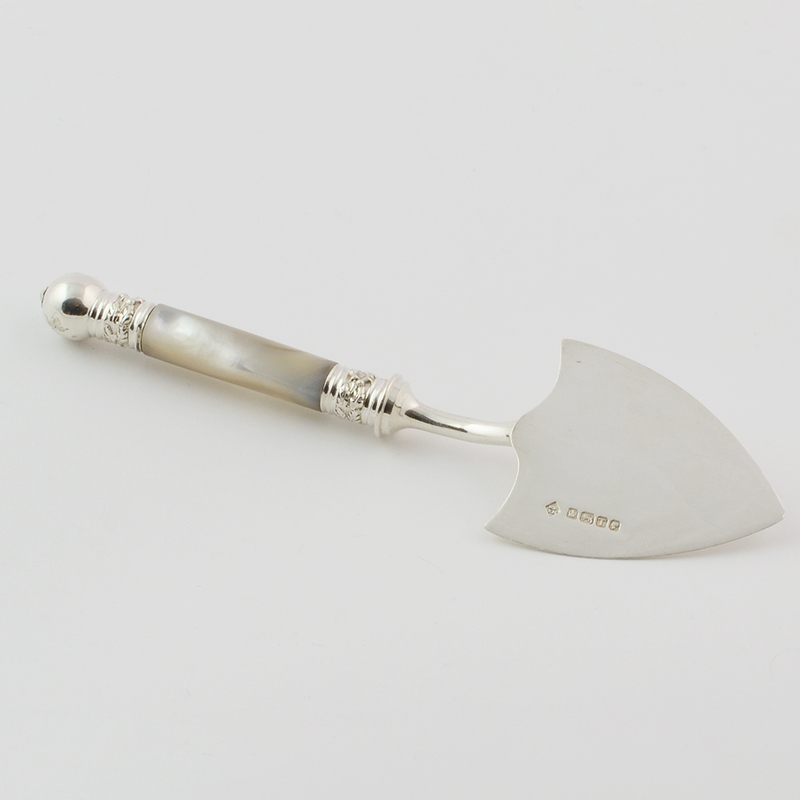 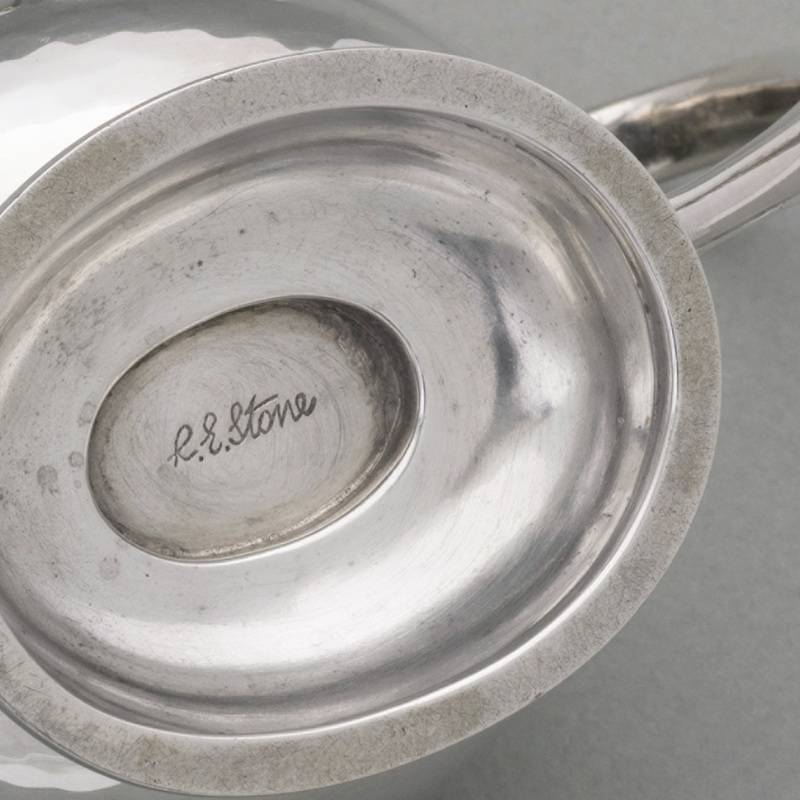 previous post: An interesting Newcastle silver Gravy Spoon. 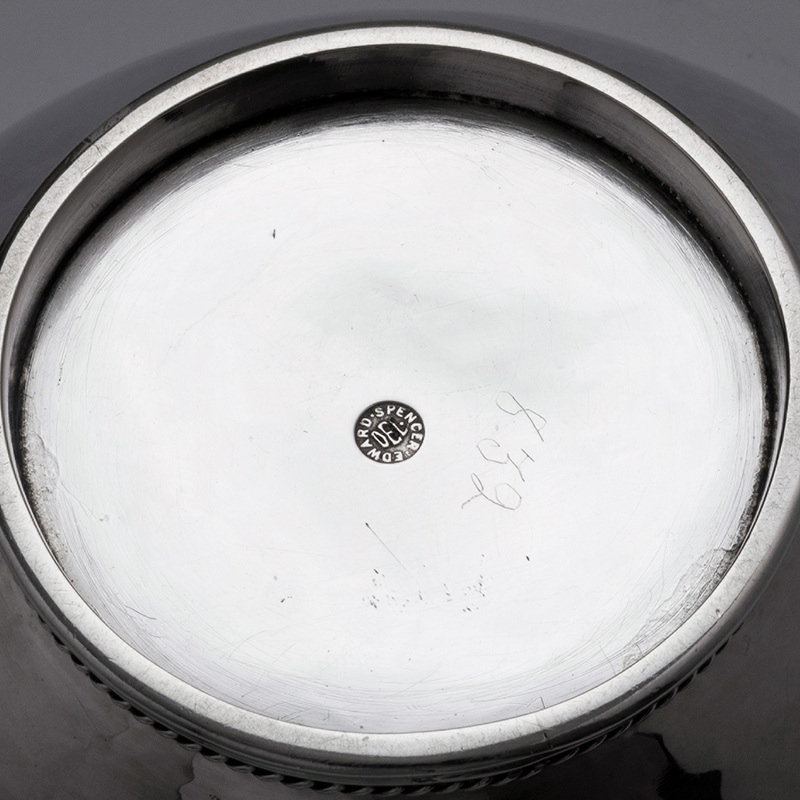 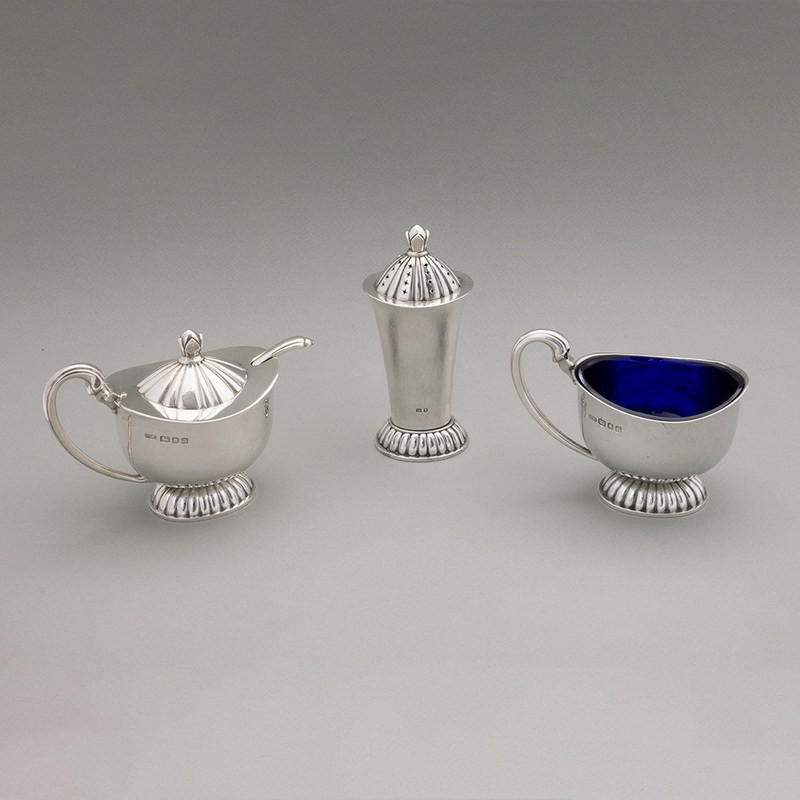 next post: A pair of Victorian silver miniature Condiments.